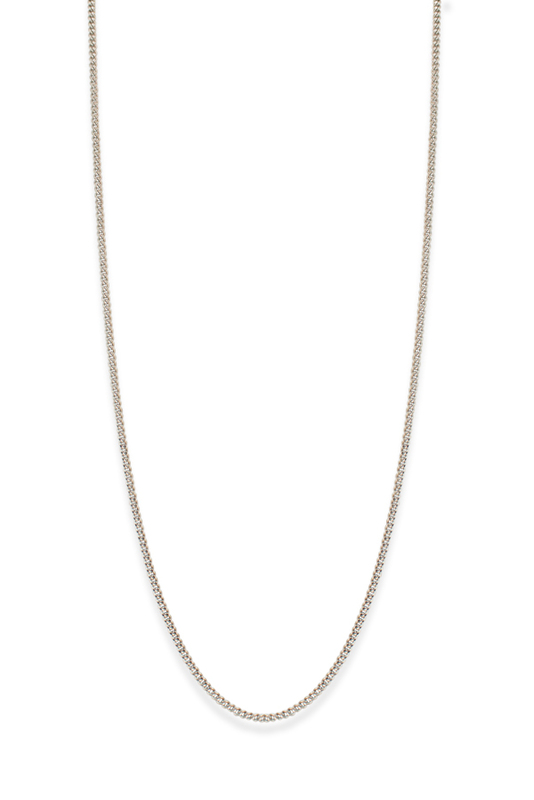 Silver-tone plain long chain necklace. Length: 33.15; extendable to 37.05". 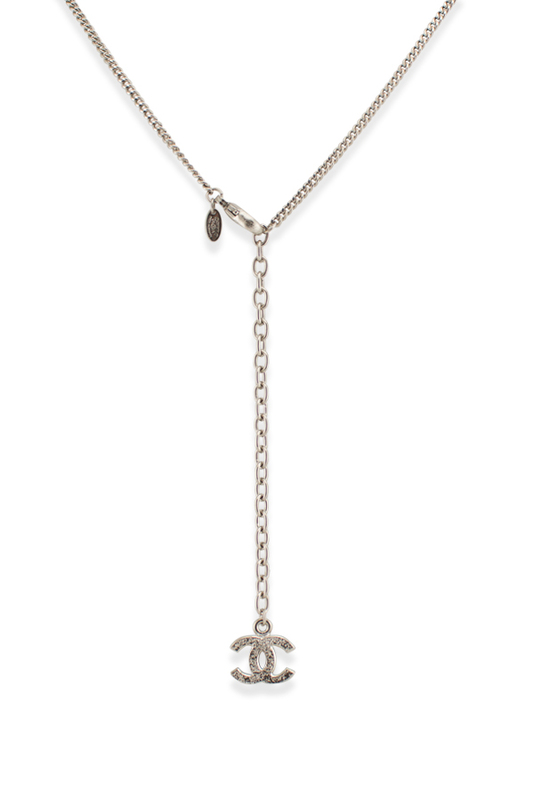 Lobster clasp closure with CC logo charm. Can be worn as a single strand or a double strand necklace.